The sun rises and sets every day. Thousands of times in the same way. Everything changes in slow motion. The tools of the workbench rise to the occasion and return to their resting place every day. Thousands of times in the same way, and create something new every time. 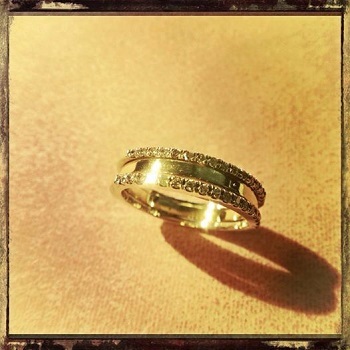 At The Workbench… Diamonds, diamonds playing on a merry-go-round of gold, like there is no end and no beginning. Diamonds, diamonds side by side, like children holding hands around the earth, looking up to reflect the brightest light. What you’ve been reading: Teresa’s Workbench – Madonna & Child. A few sunny days brought spring to mind, and with this memories of traveling bees. 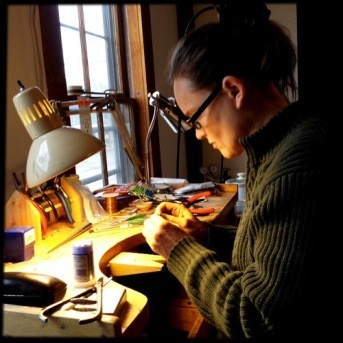 The journey began at the Workbench in 2012, for a custom beehive pendant. 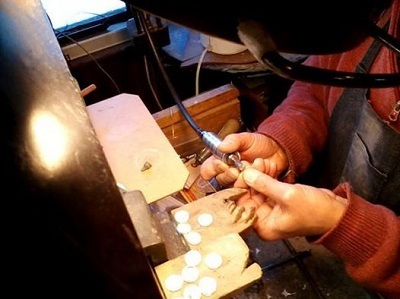 They have since played many roles as the centerpiece of pendants, bracelets and earrings. Some in silver, some in gold and others alternating between these two. For lovers, two bees seal the hearts. One for you and one for me!